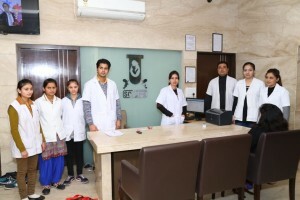 Dr. Sumita Sofat Hospital is a Ludhiana based IVF treatment centre which is famous for its successful results in the IVF treatment. Dr. Sumita Sofat the infertility specialist has treated thousands of patients suffering from Infertility problems. If you are also not able to conceive a baby naturally due to some hormone imbalance and infertility issues then don't hesitate to visit Dr. Sumita Sofat Hospital or you can simply contact them through their website.